HTC is going after the space increasingly left by RIM in the enterprise sector after a big investment in Magnet Systems. The Taiwanese brand has splurged $35.4m (£22m) on the deal, which sees it nab a 17.1 per cent stake in the firm. Magnet Systems is run and created by Alfred Chuang, who previously created business software with BEA before selling to Oracle for a multi-billion sum. He since founded the new firm, which created the WIN platform, for more tailored enterprise support. It created Sales WIN last year, which models the way salespeople interact with customers to provide in-depth data which can be used to improve the overall platform, helping make businesses more efficient through software. 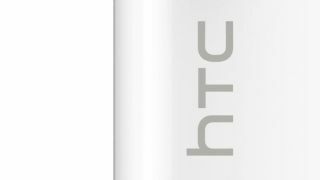 What HTC intends to do with the stake is unclear, although it's highly likely to want to use some of the tools in its range of smartphones. WIN will be available at a charge to businesses, so one possibility is HTC will be a vendor of compatible handsets, leading to attractiveness when larger businesses are looking to equip their sales force with smartphones. It's a bold move for HTC given the current financial situation it finds itself in: despite critically-acclaimed smartphones, the brand is still lowering profit estimates and recently lost $40 million through its OnLive investment.